Good Monday Morning! I took an unexpected break from blogging but I am back this week with some delicious ideas and recipes! I pray we can all live with peace in our hearts this week knowing that God is in control! 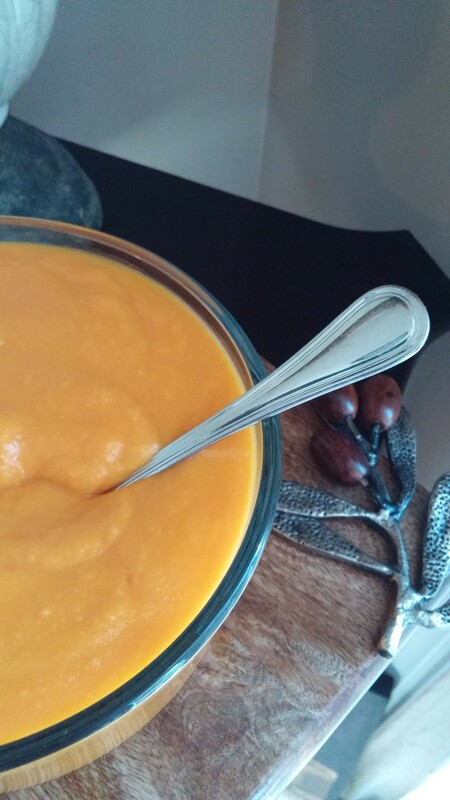 Today I am introducing you to the Honey Nut Squash! I do love all types of squash! This is my new favorite! I have only found it at Trader Joe’s. I have already purchased many of these this season and have given a few for gifts! 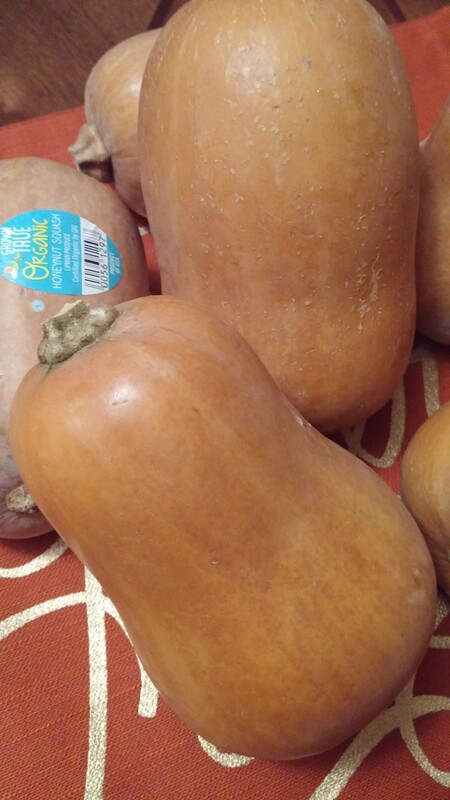 It is quite small making it great for an addition to many dishes or if you just want squash for one! It has a slightly sweeter taste than a butternut squash. My favorite way to enjoy it is in soup. 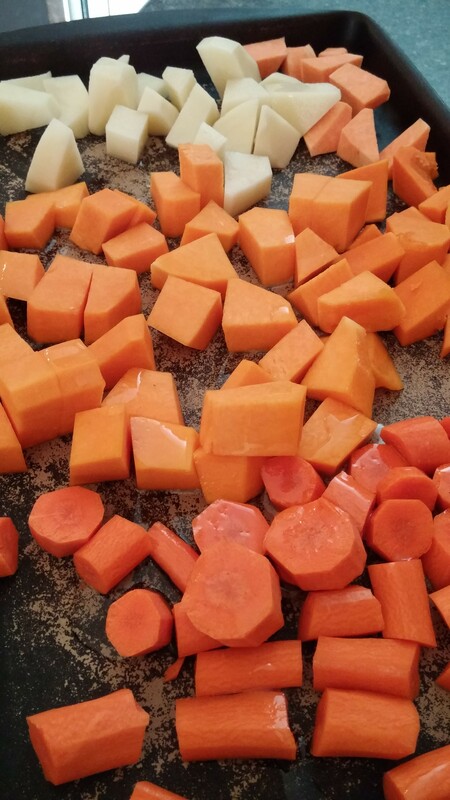 I add it to my chicken and rice soup and made a yummy squash vegetable soup which I am sharing the recipe with you today! 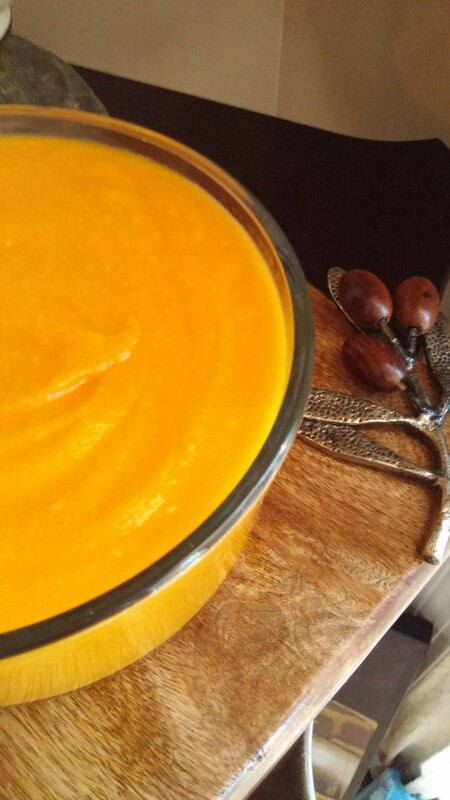 It is the most beautiful color soup, perfect addition to any Fall meal! ENJOY! Peel and cut the veggies all about the same size. Place on a baking sheet or stone. Drizzle with olive oil, salt and pepper. Roast in a 400 degree oven for 30 minutes. While the veggies are roasting…Saute 1/2 sweet onion chopped with 1 tsp Better than Bouillon chicken flavor and 2 garlic gloves minced until the onions are translucent. 5 to 10 minutes. Combine the veggies with the onions in a blender with Kitchen Basics Chicken Stock. Blend until smooth. I never measure my chicken stock. I add in until I get the consistency I want. Some days I want a thick soup and some days a thinner soup! Your preference! Delicious and very healthy! ENJOY!